Dominique Dawes is an Olympic Gold medalist and three-time Olympian. 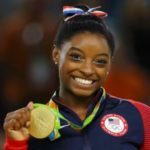 She is the only American gymnast to medal at three different Olympic Games in the team competition, and the first African-American gymnast to win an Olympic Gold medal. 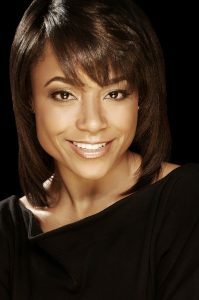 Dominique paved the way for other young African American gymnastics to strive for Olympic glory, including 2012 Olympic All Around Gold Medalist Gabrielle Douglas. 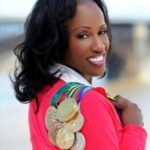 At the 1996 Atlanta Games, Dominique became the first female African-American gymnast to win an individual medal, capturing bronze with her floor exercise performance and helping solidify her place in the USOC Hall of Fame. 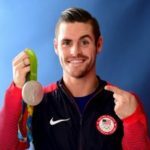 After years of dedication to gymnastics, this graduate of the University of Maryland retired to focus on her passion to encourage, educate and motivate others. 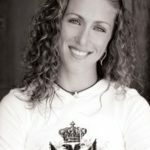 She is an accomplished motivational speaker, blogger, analyst for Foxsports.com and the co-chair of the President’s Council on Fitness, Sports and Nutrition. Dominique works closely with the First Lady and President’s Council to help promote the Let’s Move! initiative, which educates children on fitness and nutrition while motivating them to get moving.